Providing superb training facilities for talented athletes, sports clubs and the local community, Bolton Arena is a first-rate sports and leisure complex, which is accessible to all on a membership or ‘pay and play’ basis. 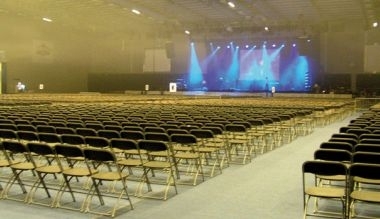 Bolton Arena is a high quality venue for meetings and conferences of any size. With five purpose-built conference rooms, a purpose-built theatre and a number of ancillary rooms, Bolton Arena can cater for up to 450 delegates. We can offer air conditioned rooms, interactive whiteboards, audio-visual equipment, wi-fi and much more. The main hall offers seated or standing capacity for up to 9,000 spectators and 5,000 square metres of exhibition space.